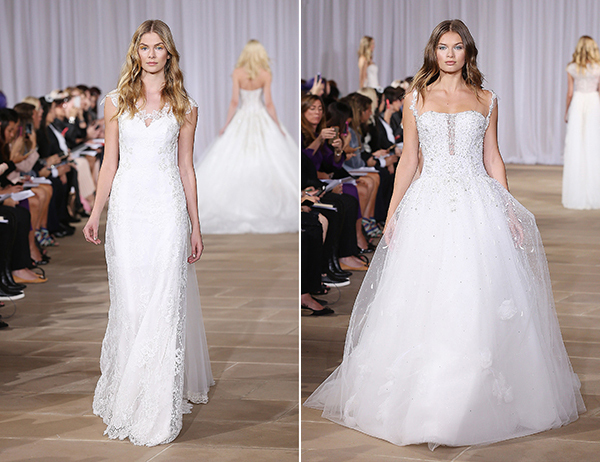 Sharing with you today all the prettiness from the Ines Di Santo Fall 2016 Bridal Collection as they were so beautifully presented during their show at New York Bridal Week! 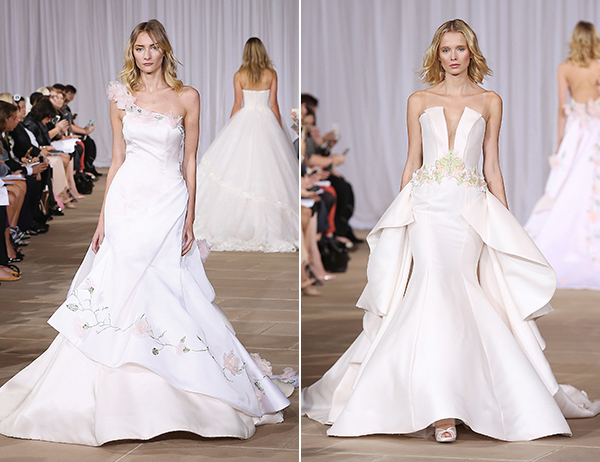 I completely fell in love with the sophistication and vibrant femininity each dress exudes… Breathtaking! 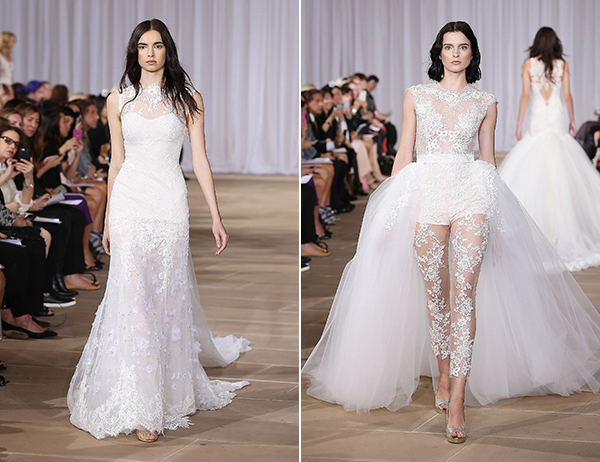 “The Ines Di Santo 2016 collection was inspired by light and all of its beautiful qualities. Sheer layers of fabric that allowed sparkles to shine thru, delicate Chantilly lace woven through the gowns, embroidery that flowed over soft sheer folds. 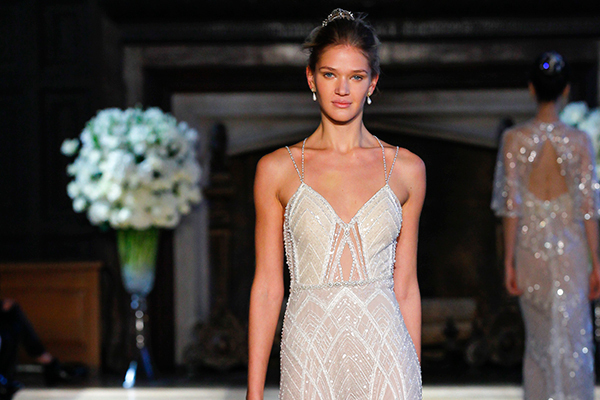 Refined silhouettes with couture like details of lace and beading. Standouts from the collection include a long sleeved lace asymmetrical mid-length gown with delicate beading, a modern masterpiece featuring a sheer lace bodysuit with dramatic tulle over-skirt with frosted lace and mohair accents, a signature mermaid gown in Organza with trailing chiffon floral appliques on an embroidered vine with a matching detachable train”.